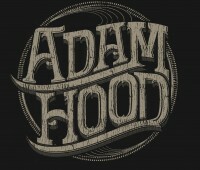 Adam Hood recently released his latest EP, is on tour with Willie Nelson, revamped his website, unleashed a new Facebook Fan Page and unveiled some really cool, new merch. Oh, and he’s headlining Greenfest 2011! To commemorate all of these cool things going on, Adam has teamed with Galleywinter to give away some cool prize packages. 1. Post a photo of you wearing an Adam Hood shirt, holding up his new EP, or showing off an Adam Hood sticker. Basically a photo of you showcasing a piece of Adam Hood’s merch. 2. Tag Adam Hood in your photo on Facebook, @reply with the pic on Twitter to (@adamhoodmusic and @galleywinter) or post the entry HERE. 3. 3 winners will be chosen randomly. Entries must be received by 5PM CT on July 11th. -The 3 winners will each receive a new Adam Hood shirt of their choice, a copy of the new EP and a pair of tickets to Greenfest! Sweet website , super design, really clean and use genial.